Hi all. We are currently in California. Some have heard of the large earthquake in PNG. The earthquake was in Rabaul which is detached from where we live. We live a mile high in the Eastern Highlands, so we wouldn't have felt the quake. (Rabaul is the place that recently had the footage of a volcano erupting that was all over facebook.) I've been there, it's a really cool place, rich with all kinds of history and war memorabilia. As well as recently dubbed a Luke video for and mastered a 3 dvd set, and then got to show the video, to some of the people who live nearby there. The quake triggered a Tsunami warning (as quakes that size often do in the South Pacific). So right now we're praying for protection for our friends on the coastal areas of risk. When I said 'friends' I usually mean a combination of ex-pats living in an area, but mostly the nationals living with and around them. When these things happen, ex-pats while they suffer they often have a way to recover or evacuate (though many choose not to for solidarity reasons). It's the people who live there who suffer the most. There is a book called Sleeping Coconuts written by the man who formerly owned the house I live in, and a friend. It talks about a Tsunami wiping out the village he works in. It's a horribly tragic story, and one very close to our hearts because we know the families who lost children in that area. Thank you for your concern, and continued prayers are appreciated. We have had Tsunami warnings before and have been relatively unaffected by them, but as usual, we're a large body doing an important work, and we are spread all over the world. Whenever there is some large natural disaster it often affects us in some way or another. Thankfully this one, so far, hasn't had reports of any harm done. I wrote this book in secret, mostly because I wanted to find out if I would actually see it through the completion. And then I would laugh to myself because I just had written a chapter in a book about it. I decided I wasn’t going to become that type of author. It is interesting to hear other people having read my book already and giving me their perspectives. 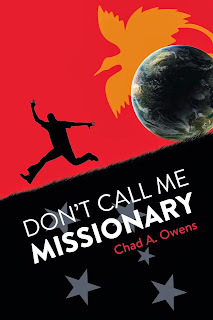 I had thought the book was written specifically for missions type people, but what people have been telling me about it is starting to change my mind. Which isn't good because in promoting this book I'm supposed to know my audience well. This book can touch the hearts and lives for any believer who is searching for a deeper relationship with Him. Through the stories in this book you can see God’s heart and love for all of us that trust Him. I would recommend this book to those wanting to read about the happenings of a regular family on a mission from God, that have traveled half way across the world, and willing to hear some of the down to earth and honest stories from a normal ordinary missionary family. This video gives you a glimpse into the life of a family very dear to our hearts. Your support of us has enable us to touch the lives of everyone in this video. My wife and I are what is considered 'support staff'. We take that role very seriously. The video above is about two translators whom we support with our skills. They are dear friends with whom we meet regularly, care about, pray with, love on, support, encourage, use our skills to help, and share life's experiences with. I worked a lot of on the audio translation post-production for their team, we've huddled around them in prayer. Kendal has taught their kids, and works with them at the school. Our kids are friends with their kids, etc, etc. When we say 'support' there is so much that goes into that, because it is where our hearts are. As they work on translating the Bible into these 16 different languages, our desire is to join with them and uphold them and help them to accomplish this work. When they feel joy, we feel joy. When they experience loss, we experience loss. That is what we mean by 'support staff'. And yet, because of this relationship we are also encouraged by them. They return the kindnesses, it isn't a one way street. As we've supplied their family with meals, so have they in turn, supplied our family with meals. We celebrate the wins together, and their work and struggle gives our roles purpose. The best way I can describe it is this. You start out with the goal of using your skills to join in the task of Bible translation. In the process you merge into a common goal, each individual using their unique talents to further the process. Because the process takes a long time, life happens, and when it does you live it together. Through all of that, God is glorified, and relationships are strengthened. It forges a deep friendship. People support us to be in PNG. We support others to work towards Bible translation. In the end, the body of the church is using their resources and skills uniquely to merge into a common goal of seeing people's lives changed. God is glorified in that an overwhelmingly huge task is accomplished by bringing together individuals who love Him. I've always wanted to write a book. 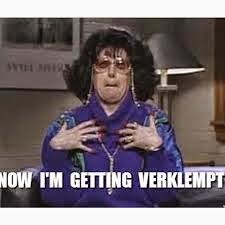 I've actually started three books. With the first two, I got several chapters in and then stopped and asked myself "Who would want to read this? Who would profit from it? Why put this out into the world?" After asking myself that, I'd promptly stop, and then abandon the book. Two years ago I sat down and started writing a book to myself. At the time we had been living as missionaries in Papua New Guinea for 6 years. I was pulling on all of my experience and writing a book to the past version of me about what life is like for missionaries overseas. It wasn't like other books on the topic, because I was writing it to someone much like I was 8 years ago. A guy who simply didn't want to read a whole lot of books about missions because they all seemed so, untouchable, unattainable, unrealistic, and unfriendly. As I continued to write the book, I started to realize that my family and friends might enjoy hearing some of these stories. Then I thought, well, maybe some of our supporters/partners would enjoy these stories. Then I thought 'well what if people who are considering one day becoming a missionary would profit from this book?" When I finished the book, I thought 'I have no idea who this book is for any more, it seems like it is for anyone who has the slightest inclination to be curious about missionary life. I decided to let it sit for a year, think about it, pray about it, and slowly edit it. This year, I decided to see if God was in this or if it was just my desire to publish a book. So, I put the idea up on Kickstarter's crowdfunding website to see if anyone wanted to pitch in for publishing costs. I told God, "okay, if this book is my doing, and not meant to get out there into the world then don't let it get funded. It's out in the world now. Families of missionaries - this book will help you understand their world more. So go check it out, it's available on Amazon, and Barnes and Noble. Every 2 years our organization brings everyone together to discuss vision, strategy, business matters and community issues. It is the one time, every two years, when the most of us are gathered together in one place. PNG is such a diverse location, that part of our team is usually scattered all over the place. Add to that furlough schedules and it is very likely that you and live and work in PNG for many years without seeing people for a very long time. Right now, you can be praying for the wisdom and discernment of the people gathered who will be making decisions about the next two years. My wife and I have never missed one of these conferences in our 8 years on the field. We've never scheduled a furlough to coincide with one, until this year. And ironically this year I'm very interested in what is being shared and discussed there because it helps you understand the pulse of the people and what they are doing. It is also a time to report what has been done in the last year or two. The Waskia speaking people, Arop-Lokep, Sokarek, and Kamano all have Scripture in their heart language in 2014, for the first time. Thank you for your role in supporting us to help accomplish this work, along with a huge team of others. Right now, in PNG there are conversations and celebrations, and though we are sad to be missing them, we celebrate with you here, while we're in the U.S. that God is doing something in PNG. (we're whittling away at the dark grey in this map). One of the fun things we do every 2 years that really builds community is a talent show for the adults. For the past few years I've played my banjo and tried to do a little bit of comedy. This year I'm not present to do that, but I'm hearing that others brought great laughter. When we return in July, other people will be sharing memories of the events this weekend that we missed. That makes us a little bit png-homesick. Still, this map above, seeing the work in progress, and the work achieved, is cause for motivation. All that red shows us there is a lot of work to be done. So while we're all together planning the future, please do pray for us. For the decisions we make, and the leadership we choose. This is the time where key decisions are made that affect how we go about our work in the future. Thank you for your prayers… and do celebrate 4 Bible dedications with us! I'm about to thank someone. But before I do, I want to say a word about thanks. However I was raised to always say 'thank you'. It is the polite thing to do. Ray Boltz sings a song 'Thank You' that will get anyone Verklempt. For those who do good deeds and do not wish to be thanked, let us compromise and allow me to thank God, for your generosity. Today I came home from work, and my wife showed me the generosity that flowed from you ladies. The encouragement hit me very quickly and the emotion welled up that the only thing I can say is I got an instant lump in my throat. I could go on and on about what this has meant to us. But I am not sure you would appreciate me heaping thanks upon you… because you're humble servants, and they tend not to like that sort of thing. The tools were a very proper PNG gift, by the way. A good PNG gift is a practical item that is useful. Wrapping and ribbon is called 'bilas' and unnecessary when giving gifts. What is necessary is whether or not the tool can be used well and if it is a well made tool. Don't try to give a PNGian a fancy shmancy all-in-one wonder tool. A simple shovel, axe, or knife is appreciated most. We so very much appreciate you ladies. One of the little surprises that I've picked up this furlough is how widely accepted certain things are that only used to be popular amongst the more geeky of people. For example, the Amazon Wish List. I remember years ago wishing everyone kept one so I'd know the right gift to get whenever I felt like giving a gift. Only years ago, no one had even heard of it. Now it seems like everyone has one. And with next day delivery, and traffic and crowds being what they are, ordering online seems to be the standard way to purchase things. Our family Christmas this year could have been subtitled 'Christmas 2014, brought to you by Amazon'. There were Amazon boxes everywhere. No longer do you need to find that perfect box for your gift! No more saving up boxes before Christmas. Just click, click click and you have the PERFECT gift, and if you're in a rush, they'll wrap it for you. I know this because I've done it. Why have I done it? Well because I was told that my 'original gifts' weren't always as appreciated as I thought they were. I gave all my nephews Pig's Teeth necklaces one year and made some of them cry in fear. Woops. So now I stick to wish lists and try to avoid my more 'creative' urges to get thoughtful gifts. With the wish list though, the person can click to see if their gift has been purchased yet. Much like a Bridal registry. All this really means is that the labor behind gift giving is all but gone, unless, you put actual labor into it, at which point, people notice. Unwrapping presents becomes less a time of discovery (ooh what did I get?) and more a time of linking the gifts you know are coming with who got them for you. "Oh thank you Grandpa! I was hoping someone would pick this off my list. I'm glad it was you! Thank you." I think that the wonder is gone, it's really become much more like a business transaction than anything. How far removed are we really from the movie idea of a boss having his secretary buy his brother a VCR or a Towel for Christmas? (yes that was a Bill Murray reference). To me this has been one of those ponderances I've noticed being back in the U.S. for the last 10 months. It is not a judgement, how could it be? I participate in it, and was even hopeful that one day this would happen. It is just an interesting thing to me to see things that were once in the realm of 'geek' become common in a lot of households. Part of me feels old because you see the future coming, and then it comes, and is here and you're living in it, and because we were gone for 4 years, it sort of just, happened… without my noticing. An interesting side-effect also is that a lot of people are getting 'stuffed' out. They've had it with all the things, and are now spending their money on experiences and memories. Giving the gift of time. I find that awesome. Okay so here's my prediction, for the year 2050. I predict that my children's children will grow up with parents who are always keeping their nose in a screen or some facsimile. I think they will rebel against not getting the attention they want from their parents, and the next skip generation will actually not want screens in their lives. TV screens, computer screens, screens of whatever technology are going to be so pervasive, that in 2 generations (my kids, kids), people will start to reject screens as much as they possibly can. That the new 'naturalist' movement, won't be dietary and exercise so much as turning off screens, and looking people in the eye when they speak to them. Face to face time will become very important because people will have grown up more isolated than previous generations. That is my prediction…. we'll see if it comes true. "For this reason, a because I have heard of your faith in the Lord Jesus and your love for all the saints, I do not cease to give thanks for you when I remember you in my prayers"
I'm no Bible scholar but I play one on T.V…. I mean I live next to a lot of them, and I've learned a few things. I've learned that Paul's letters often start with greetings and salutations, and ends with farewell comments. Somewhere in the middle is the punch and the meat. With this knowledge, skimming over the greeting is something that happens often for me. In my head I think 'Paul sends his best, haven't seen you in a while, nice stuff said… aha, here's the meat of the letter!'. But today, the salutation got me. "I do not cease to give thanks for you when I remember you in my prayers." When I read this I TOTALLY got it. I've lived it, I understood it in a way more than in my head, but in an experiential, in my heart way. Paul, like us, was bound to these people through a ministry they both had a passion for. He cared for them, and they cared for him. They demonstrated their faith to him. The people who support us in our ministry have demonstrated their love, their support and their faith in God. They have decided to give sacrificially so that we could live overseas and do ministry. That bonds people tightly, tighter than you can imagine, because I couldn't imagine it until it happened for the first time years ago. As a result of that, we (even though we are remote) are intimately concerned with those people who care for us, pray for us, write checks to us, encourage us, cry with us, email us, send us boxes, help us on furlough, haul trash for us, lend sofas to us, etc! And whenever we go to pray, these people, YOU, are on our hearts and minds all the time. When you go through trials we like to know so we can pray for you. There is a bond there, and we are so very thankful for it, and for you, and we do not cease to give thanks for you when we pray. Automatic sinks were deployed in some public restrooms before my family moved to PNG, but only in some places. Today, they are practically everywhere, in fact, now days, I see people putting their hands under sinks or towel dispensers instinctively, often before realizing it is a manual device. I've done it, you feel silly but it is an indicator of progress. When our kids came back from PNG for the first time, they were enamored with the automatic sinks and hand dryers in the airport restrooms. Yes we felt like the hill-people come to the big city, with all their fancy doodads. Parents, what are some terms that no longer hold context for your kids, but that you still say? These things change over the years, and tend to make us feel older. Sayings like "roll up the window'. Most windows don't 'roll' up anymore. It is a remnant of a bygone technology. (except that actually our car in PNG has the manual cranks). Think about what those sayings are, there are dozens of them. And then realize this… where we live in PNG, many of those sayings still make sense. Today I saw a t.v. show where a woman who was locked away from society was confused and enamored by automatic sinks and hand dryers. It was a tool the writers used to show how long she's been out of the world. It was funny to me not because she was out of touch, but because I had been there, in her shoes before. We are nearing the end of our 1 year of re-acclimation into the U.S. culture and preparing to return to PNG in June. There have been things that have proven really interesting, some super useful, others have been keepers, things that we can take back with us to help aid in our work in PNG. These are just some of the thoughts in my head, as we prepare to return. I'm always telling you about how I'm excited about the new Audio Bibles that we've been involved in producing. Why not hear it from someone else. This video is a fun one. (Can't have my blog being all business and no play).